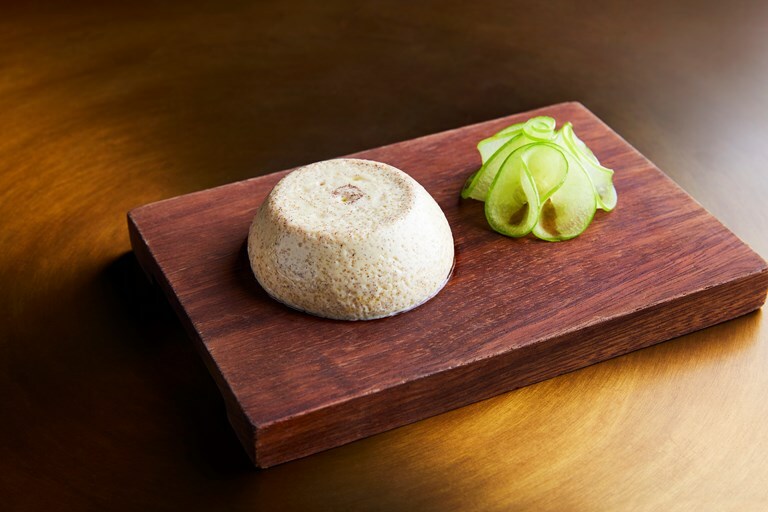 This legendary quaking pudding recipe served up at Heston Blumenthal's pub, The Hind's Head, is the result of years of tweaking and perfecting. A wobbly delight spiked with nutmeg and cinnamon, this is a contemporary take on a British medieval dessert, which sits somewhere between a panna cotta and custard tart on the flavour scale. The pudding is served with compressed Granny Smith apple for a little acidity.